Small changes add up to big results. Per our best weight-loss tips, avoid diets that are so strict you’ll never be able to stick to them. A more effective approach: Realistic adjustments to your routine. 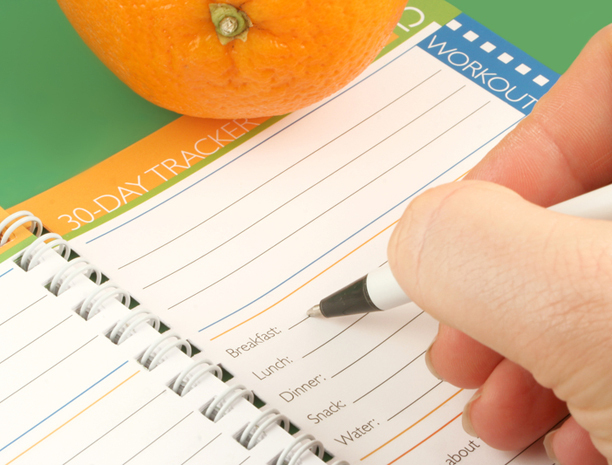 One way to get your diet under control: Track it via a journal. Looking to change your diet because you need to lose weight? Your intentions may be good, but it’s unrealistic to think you can wake up one morning and instantly change the way you eat. Instead of a complete overhaul of your diet, set out to make a few small changes—ones that will make it easier to achieve your goals. Here are our five best weight-loss tips to get you started. Keep a detailed food log for a week or two. Record what you eat (steer toward low-calorie foods that are rich in nutrients), the amount you eat, and the time of day. Once you begin writing things down, you may be surprised at what you discover. And once you have an accurate record of what and how much you’re eating, it becomes much easier to see where you can make changes that will help lose weight. The USDA’s MyPlate website is an ideal resource for tracking calories and understanding food facts. To keep your metabolism moving, you need to give it fuel on a regular basis. Starving yourself by going for many hours without food likely won’t help. In fact, it may backfire if you end up overeating because you’re so hungry. Also, not eating gives your body the signal that there’s a food deficit, so it naturally goes into survival mode and stores calories rather than burning them. An apple or pear with a tablespoon of peanut or other nut (almond, cashew) butter. A single-serving, low-fat piece of cheese with six or eight whole-grain crackers. A handful of dried, no-sugar-added fruits (bananas, apricots, papaya, pineapple) and unsalted nuts (walnuts, almonds, mixed nuts). Three cups of air-popped popcorn. An obvious one: Kick the soda habit and save yourself all the sugar lurking within. When you drink a beverage, your body doesn’t identify it as “fuel” in the same way that it registers solid food. If you need to shed some pounds, make sure your drinks are low in calories. 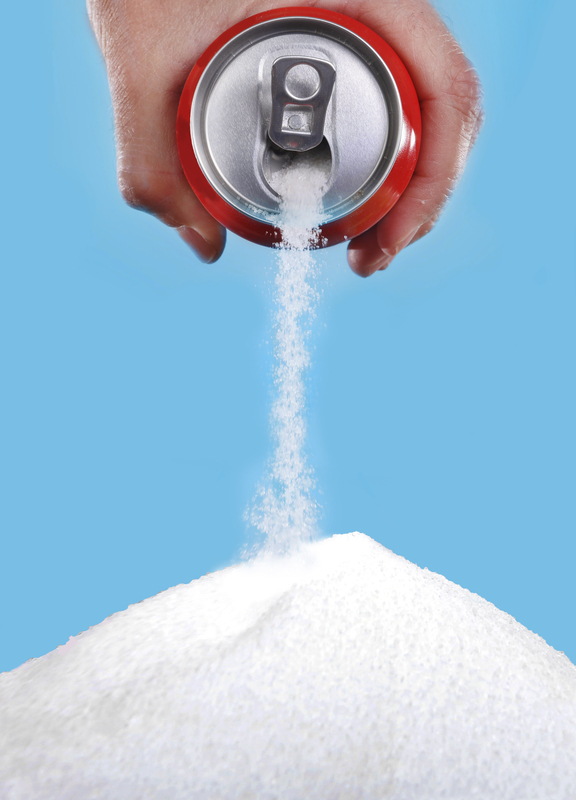 High-calorie sodas and soft drinks should be the first things you cut. But don’t forget about sweetened tea and coffee drinks, fruit and juice drinks, energy drinks, and sports drinks. Experts believe that these types of beverages contribute significantly to the nation’s obesity problem. Many sweetened beverages consist of nothing more than a pile of sugar and flavorings added to water. And don’t overlook calories from alcohol. Most alcoholic drinks contain at least 100 calories; mixed drinks and specialty drinks typically come in at 300 calories or higher. Your best beverage choices include water, unsweetened coffee or tea, low-fat or fat-free milk, and small amounts of 100-percent fruit juice. They’re irresistibly tasty to so many of us, but… muffins are just cake without frosting. 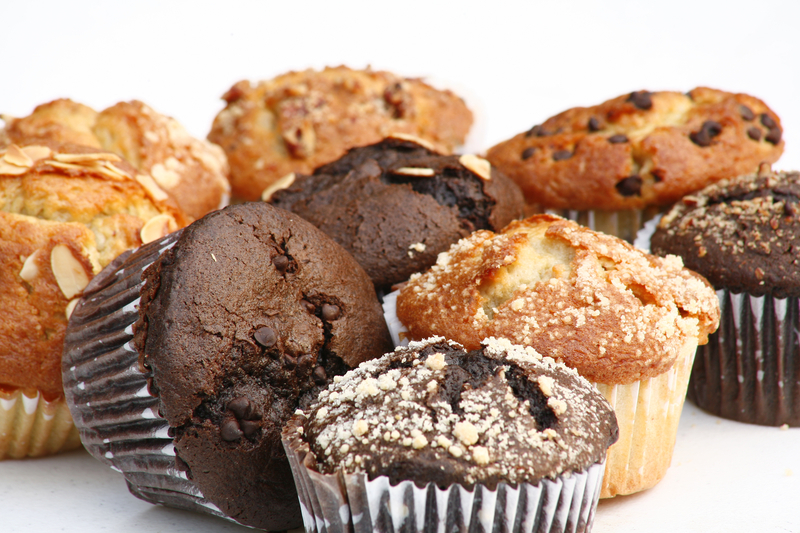 A single large chocolate muffin can have just under 500 calories, a medium one around 365. Some food labels may call out to you with promises that their contents are healthy: “Contains whole grains,” “organic,” “no high-fructose corn syrup,” and other such claims are often designed to deceive the consumer. In reality, these products may pack a big calorie punch that’s counterproductive to your weight-loss goal. For example, granola and granola bars may seem healthy because they’re based on oats and/or other whole grains, but many such products are loaded with added sugar and fat. Be especially wary if they have a chocolate or yogurt “coating”—it’s just a healthier-sounding word for frosting. Likewise, muffins may sound nutritious if they contain fruits and nuts, but usually they’re made with refined flour and a lot of added sugar. 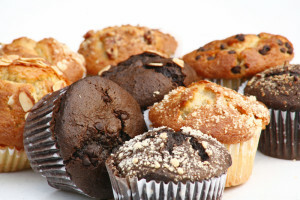 Most muffins are just cake without icing. And how about those healthy-sounding chips made with vegetables? Frying carrots, beets, or sweet potatoes in oil and sprinkling them with salt doesn’t make them any lower in calories than regular potato chips. An easy-to-execute weight-loss tip: Keep in plain sight a bowl of fresh fruit to entice you away from less-healthy options hiding in your pantry. Set yourself up for success by making it easier to eat waistline-friendly foods and more difficult to eat unhealthy foods that are high in calories, sugar, and/or fat. Clear your kitchen counters of cookies, baked goods, and other processed snack foods. Then do the same with your cupboards, pantry, and refrigerator. If you can’t bear to part with a favorite food, move it to a place where it’s difficult to reach; you’ll have to work harder to get to it. 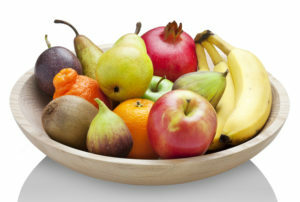 Instead, place a bowl of fresh fruit on your counter. Keep ready-to-eat carrots, celery, and other vegetables and fruits in transparent containers at the front of your fridge so you see them first when you open the refrigerator door. Also, put low-fat yogurt and healthy dips, like hummus, within easy reach. Use the same strategy in your cupboards and/or pantry: Foods that will help with weight loss—such as canned or single-serving fruits that contain no added sugar—should be front and center. Jonathan Wanagat, MD, PhD, Assistant Professor, Division of Geriatrics at UCLA, answers a common question about choosing the most effective weight-loss diet. Q: I’ve been trying to lose weight. What is the best weight-loss diet to try? A: Believe it or not, the good news is that there is no one single weight-loss diet. That’s good news because it means that you can (and should) eat a wide variety of foods to achieve your goals. 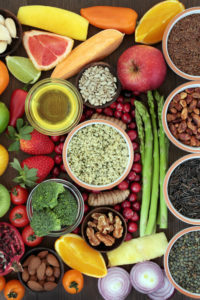 Two recent studies in the Journal of Nutrition found that people who ate a wide variety of healthy foods tended to have less body fat compared to those who ate a more monotonous diet. For example, if you eat red meat several times a week, consider replacing some of those meat-based meals with plant-based proteins. Try lentils in soup, bean-based patties, or tofu (the baked versions are especially versatile). Use low-fat or no-fat dairy, instead of full-fat. While smoothies can be a tempting way to get more fruits and veggies into your diet, be aware that they can also pack a lot of calories. This is especially true for store-bought smoothies. Some can contain as many as 1,000 calories. The fiber in the fruits and veggies in smoothies are also pulverized and thus more quickly absorbed, compared to simply eating whole produce. This matters because slower digestion helps you feel fuller longer. Time also plays a role with respect to how you eat. Take time to chew and enjoy your food. Research has shown that those who eat fast consume more calories and feel less satisfied after their meals. Think also of losing weight as a long-term goal consisting of sustainable dietary changes, not just something you do to lose weight. alcohol, almonds, beets, calories, carrots, chocolate, coffee, corn, corn syrup, dairy, diet, digestion, energy drinks, fiber, food, health, health news, healthy options, high fructose corn syrup, how to eat healthy, how to lose weight, Lose Weight, losing weight, low calorie foods, metabolism, milk, nutrients, nutrition, nuts, obesity, organic, overeating, potatoes, sugar, university health news, vegetables, walnuts, weight loss diet, weight loss tips, what is nutrition, whole grain, whole grains, yogurt. Is there any other details regarding to this subject in other languages?